1. My fashion style is ECLECTIC CHIC. I like to have different themes that's why I always put together unique and different looks each day. 2. I'm not necessarily brand-conscious. I don't care what the label is as long as the item is fashion-forward. What matters most is the styling--- your ability to make less expensive things look like diamonds. 3. I recently realized that the most difficult clothes to look for are the basic stuff. 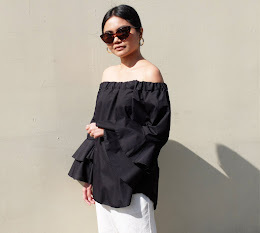 It took me ages to shop for the perfect white shirt and a figure-flattering LBD. It even took me 2 whole days just to look for a strand of pearls. 6. I am REALLY obsessed with shoes. I'm always in heels. Out of the 30 plus shoes that I own, only 2 or 3 of them are flats. I may be in heels all day but I always bring along slippers with me, just in case it rains or I have to step on soil or mud or when my feet surrenders from the 4-inch heels. 7. I'm obsessed with vintage fashion circa 1960. I'm greatly inspired by women from that era. That explains why I love watching old movies, even the black and white ones. I get inspired by the way they dress and the way they carry themselves. I like the fact that they always dressed to the nines even if they're just at home. 8. I have always fantasized about having my own clothing store. And I always imagined the store to have a vintage feel to it. If given the chance, I would also like to design a couple of looks for a petite clothing line. 9. I have a fashion scrapbook. I've had it with me for 3 years now. I like to cut out photos from magazines/newspapers and post it in my scrapbook. I also keep my wishlists there. 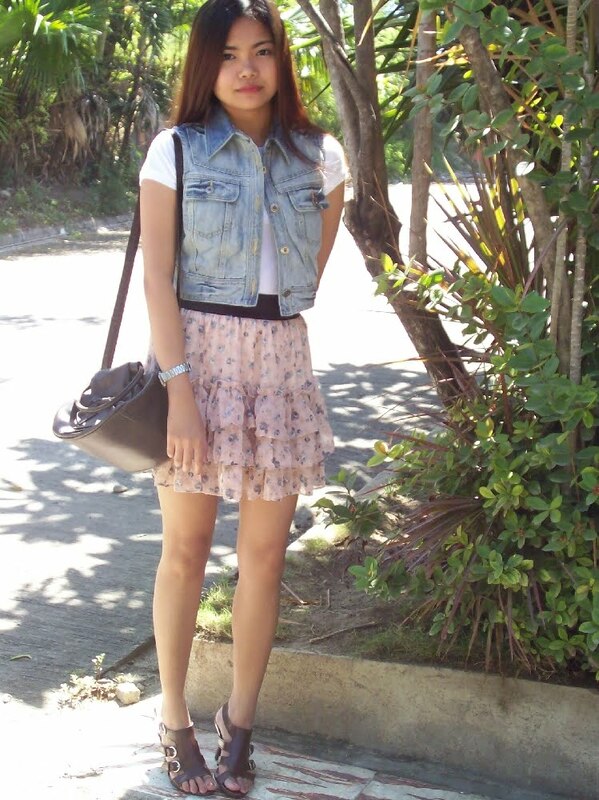 From time to time, I would rummage through my closet, come up with different looks and write them down. On days when I feel like I have nothing to wear, I just open up my scrapbook and voila!--- I have a gazillion of outfits to choose from. 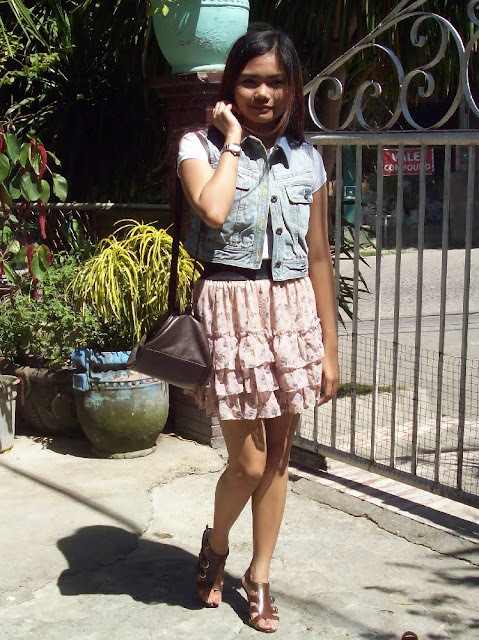 Folded and Hung white shirt, Petit Monde acid wash denim vest, Pink Shabby floral pink skirt, Leaveland brown shoes, random sling bag.